After so much fun in Kirkcudbright to mark World Parkinson’s Day the next opportunities to support Parkinson’s UK are just up the M74 at the Glasgow Kiltwalk on 28 April or at Chatelherault Country Park in Hamilton on Sunday 12 May. The Kiltwalk has a choice of routes and the walk for Parkinson’s Chatelherault takes place in a beautiful country park and there’s the choice of a 1 or 5 mile route. Over the past four years Walk for Parkinson’s fundraisers across the UK have raised over £1.5 million for Parkinson’s UK’s pioneering research to find a cure for the condition – and the charity believes that scientists could now be on the verge of major breakthroughs. Team McKill from Lockerbie are already signed up for the Kiltwalk – and with registration closing on 24 April – you’ll need to be quick if you want to join them. The family team is led by Sara McKill whose father-in-law Jimmy has lived with Parkinson’s for over 7 years. Jimmy’s daughters Shona Rae and Louise Taylor, grand-daughter Emily Rae and niece Debbie Rae make up the rest of the team, who will be rising to the challenge of the 23-mile Mighty Stride challenge from Glasgow to Balloch on the day. Jimmy took on a 10-mile sponsored walk a few years ago and, along with his wife Helen, he’ll be at the finish line to cheer the girls home. Team McKill are keen to raise funds and awareness for Parkinson’s. 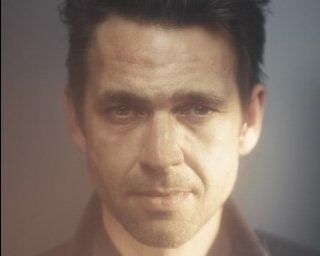 Actor Dougray Scott is supporting the walks for Parkinson’s in Scotland. Dougray’s father lived with Parkinson’s. Dougray said: “My dad lived with Parkinson’s for many years and I saw first-hand the terrible struggles he had and how debilitating this illness was for him, and the helplessness this created for those around him who felt powerless to alleviate his distress. “Parkinson’s UK’s pioneering research is on the brink of ending Parkinson’s for good, and it would be fantastic if the 12,400 families in Scotland could be spared the anguish of watching their loved ones decline.